NACO will host workshops throughout the region. 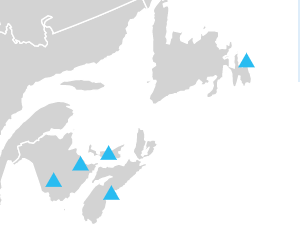 The National Angel Capital Organization will start touring the Atlantic provinces on April 30, to deliver a series of workshops for investors and entrepreneurs. The NACO Academy Roadshow, as the series is known, aims to build better engagement between investors and entrepreneurs to improve on investment outcomes. Charlottetown-based life science incubatorEmergence is one of the community partners for NACO’s roadshow. “Angel investment is an important asset class for early-stage companies and plays a critical role in the life of most startup and scale-up ventures,” said Martin Yuill, the Director at Emergence. Tuesday, May 1st: Halifax, Nova Scotia. Wednesday, May 2nd: Charlottetown, Prince Edward Island. Thursday, May 3rd: Moncton, New Brunswick. Friday, May 4th: Fredericton, New Brunswick. Sessions called “Structuring Deals & Term Sheets” and “An Entrepreneur’s Guide to Angels” will address key issues for both investors and entrepreneurs. The Guide to Angels workshop will help entrepreneurs improve their ability to attract angel investment, and build a positive ongoing relationship with their angels. Structuring Deals and Term Sheets will show participants how to structure investment deals to maximize the value created and protect returns from adverse events. Click here to register for the workshops. The sessions in St. John’s, Halifax and Charlottetown include post-workshop cocktail reception and the workshops in Moncton and Fredericton will provide lunch. The roadshow is meant to meant to be a prelude to the Atlantic Regional Angel Summit, scheduled for May 28 and 29. The second annual summit will bring local angel investors together with angels from the rest of Canada and parts of the US.